In March 2014 I was commissioned from ISSP to deliver a workshop on self portraits and the family archive. 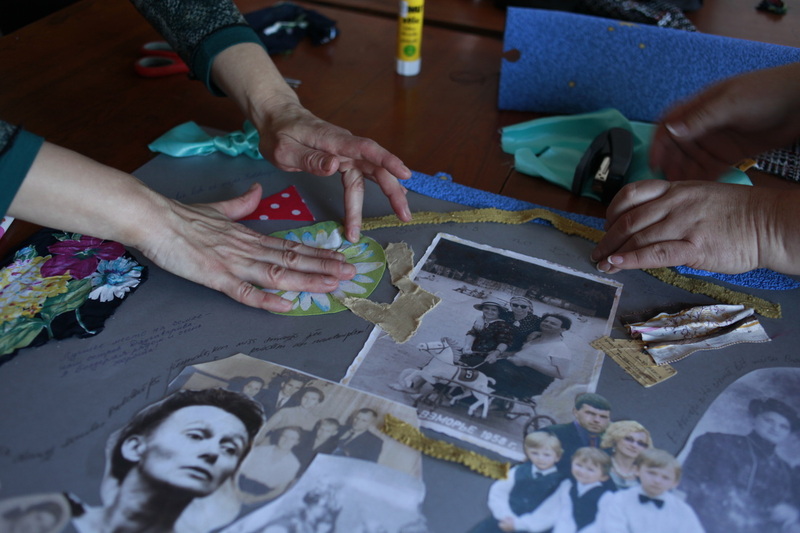 The participants, local women from Bolderāja, combined old family photographs, colours, shapes and word to create self-portraits that reflect their personal stories and memories. Using creativity and imagination, they explored and reinvented their life stories. The personal was linked to the collective history of Bolderāja, a largely Russian-speaking area of Riga that started out as a fishing village and housed factories and a large navy base during Soviet times. 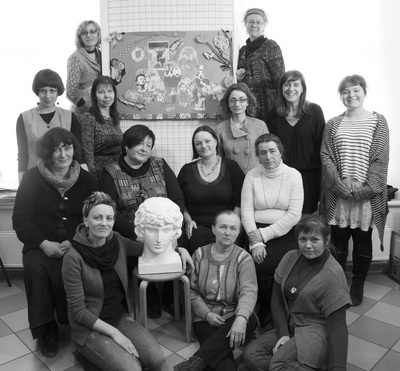 RIGA SELF/PORTRAITS was part of the international community art project Contemporary Self-Portraits, organized in Latvia by Association ISSP. 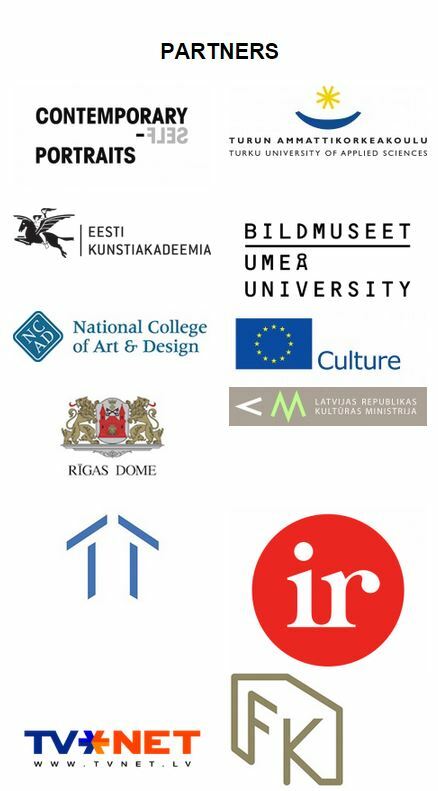 The partners of the CSP project were Turku University of Applied Sciences (Finland), Estonian Academy of Arts, the National College of Art and Design (Ireland), ISSP (Latvia) and Bildmuseet of Umeå University (Sweden). The project was funded by the EU Culture Programme and Foundation Riga 2014.